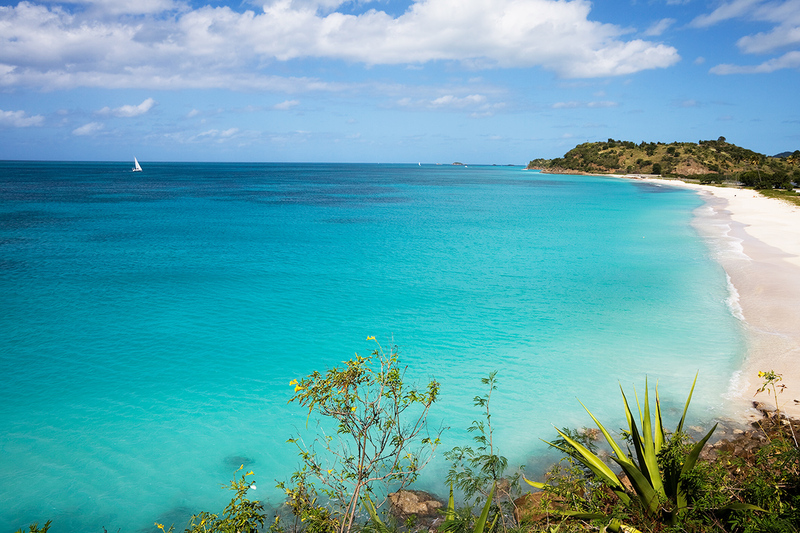 With 365 beaches – one for every day of the year – dotting the lush coastline of Antigua, you’ll never run out of spots to soak up the sun on this beautiful island. Whether you’re looking for a family-friendly stretch of sand, a romantic location for your beach getaway or the perfect spot to snorkel, we compiled a list of five fabulous beaches for every type of beach escape. Located on the western side of the island, Jolly Beach is a popular choice for families with its calm, shallow waters. The little ones can build a sandcastle on the pristine shore while parents relax under the shade of a beach umbrella or take a stroll down the mile-long stretch of sand. There’s also plenty of restaurants on the beach, where families can grab a quick lunch or a refreshing drink. 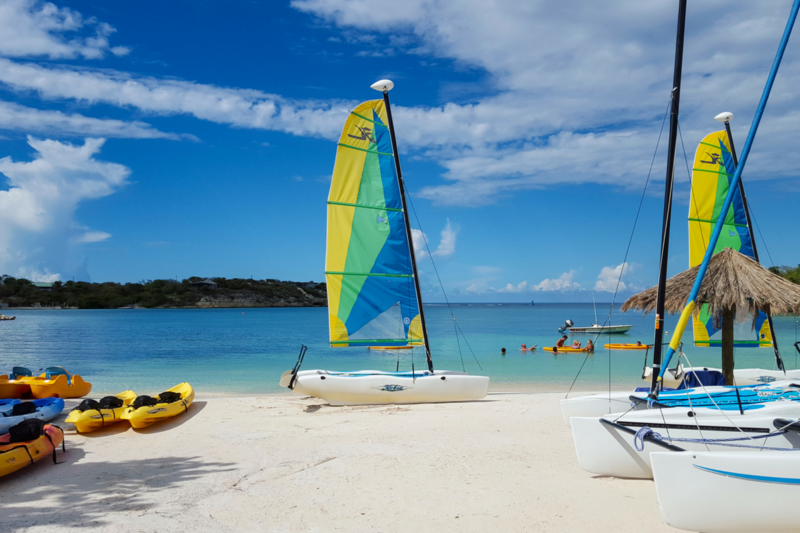 Where to stay: Starfish Jolly Beach Resort is located directly on the soft white sands of Jolly Beach and offers plenty family-friendly activities of its own, from Hobie Cat rides to beach bonfires. 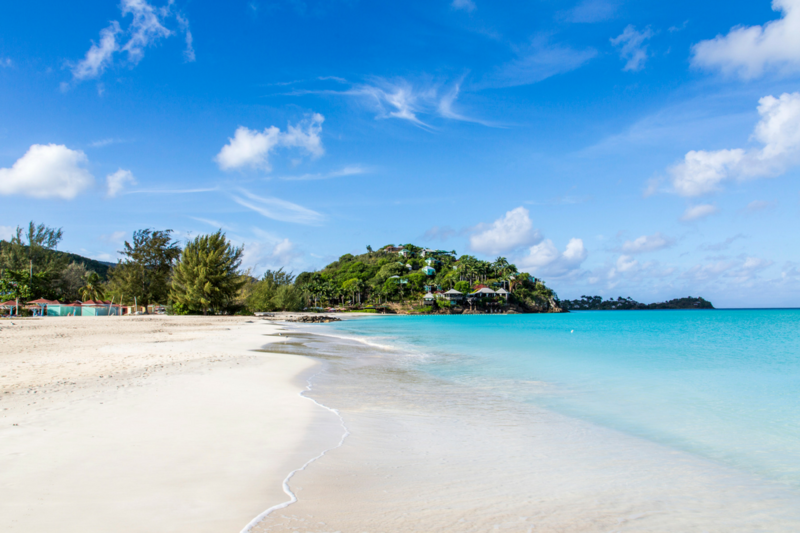 Nestled in a calm cove on the southern coast of Antigua, Pigeon Point Beach is the perfect place for snorkelling enthusiasts. 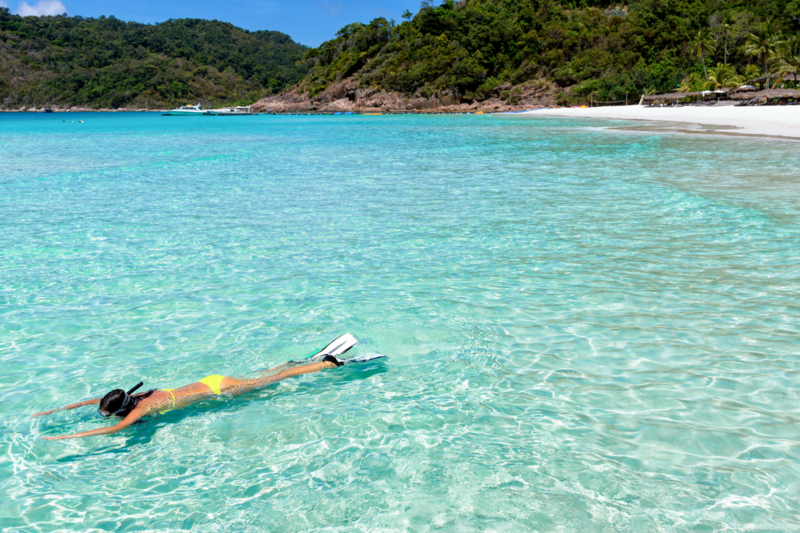 With crystal-clear waters and calm conditions, snorkellers of all experience levels will have the chance to catch a glimpse of some of Antigua’s colourful underwater inhabitants. The beach is also a local favourite for sunbathing, for those who prefer to keep their feet out of water! Where to stay: Located on the southern tip of the island and nearby Pigeon Point Beach is St James’s Club and Villas, a luxurious resort nestled in 100 acres of lush landscapes with perfect snorkelling conditions and two beautiful beaches. On the south-western tip of the island, Darkwood Beach is known for its pristine white sands and lush, hilly forests – creating the perfect setting for a romantic day at the beach! Sweethearts can walk hand and hand along one of the longest stretches of beach on the island or go for a dip in the warm waters of the Caribbean. On a clear day, you can even see the island of Monteserrat on the horizon! Where to stay: Just a short jaunt from Darkwood Beach is Coco Beach Resort, one of the most romantic adults only resorts in Antigua, offering private cottages with balconies and hammocks plus three sparkling white sand beaches to choose from. 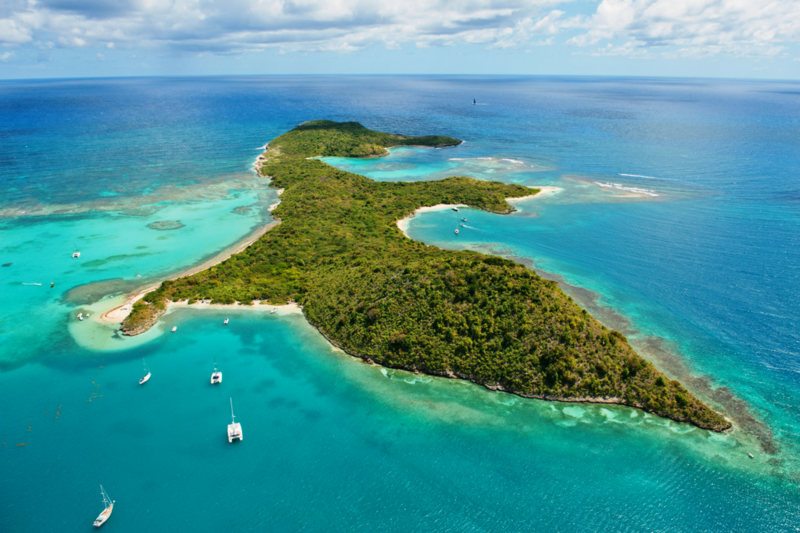 Green Island is a ‘desert’ island located just off the eastern coast of Antigua, offering five calm beaches, excellent snorkelling conditions and a variety of exciting activities including stand-up paddle boarding and kayaking. Accessible only by boat, there are plenty of scenic excursions you can take that include stops at this beautiful and secluded paradise. Where to stay: Visitors can enjoy a trip to Green Island with The Excellence Power Catamaran excursion or stay at the lavish Non-Such Bay Resort, which offers complimentary boat rides to Green Island on Mondays, Wednesdays and Fridays. Those looking to stay active on vacation will love the plethora of water sports available at Half Moon Bay including sailing, wind surfing, kayaking and more. Half Moon Bay Beach is a favourite for windsurfers, offering sizeable waves and steady winds; it’s also a popular spot for those who prefer to stay closer to shore and body surf! Where to stay: The Verandah Resort and Spa is nestled in a peaceful cove on the Atlantic side of the island, offering plenty of watersports of its own including windsurfing and snorkelling.